Daniel "Rudy" Ruettiger etched his name into the history books against all odds as one of most famous graduates of the University of Notre Dame. The third of 14 children and son of an oil refinery worker, Rudy rose from the valley of despair and discouragement to the pinnacle of success. After years of overcoming obstacles and criticisms, Rudy achieved his dream of attending the University of Notre Dame and playing football for the Fighting Irish. With fans cheering "RU-DY, RU-DY," he sacked a quarterback in the final 27 seconds of the only play in the lone game of his college football career. In 1993, his life story was immortalized by TRISTAR Productions with the film RUDY, which received "Two Thumbs Up" from Siskel and Ebert. Rudy has appeared on many television and radio shows across the country, has been featured in national magazine publications and has been honored with a key to numerous cities across the United States. Rudy received an Honorary Doctorate Degree from Our Lady of Holy Cross College, a proclamation from the Governor of Nevada, the Distinguished American Award, was inducted into the Speakers Hall of Fame and spoke at the White House during the presidencies of Bill Clinton and George W. Bush. Today, Rudy continues to be a highly sought-after motivational speaker and inspires audiences with his powerful message of "YES I CAN". For details on how to book Rudy Ruettiger, including information on Rudy Ruettiger speaking engagements, Rudy Ruettiger speaking fee, Rudy Ruettiger appearances, Rudy Ruettiger meet and greet, how to contact Rudy Ruettiger and Rudy Ruettiger agent information, contact a Rudy Ruettiger booking agent at Sports Speakers 360 today! 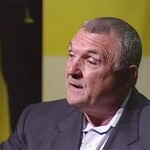 DISCLAIMER: Sports Speakers 360 does not claim to represent itself as the exclusive agent for Rudy Ruettiger. Sports Speakers 360 is a sports talent booking agency that represents organizations seeking to hire athletes such as Rudy Ruettiger and other sports celebrities for personal appearances, speaking engagements, celebrity endorsements and spokesperson campaigns. Fees on this website are estimates and are intended only as a guideline. Exact fees are determined by a number of factors, including the location of event, the talent’s schedule, requested duties and supply and demand. Sports Speakers 360 makes no guarantees to the accuracy of information found on this website and does not warrant that any information or representations contained on this website will be accurate or free from errors. We can help your company or organization choose the ideal athlete for your next marketing campaign. If you would like to hire Rudy Ruettiger for an appearance, speaking event, product endorsement, charity fundraiser, grand opening, PR campaign, trade show or television or radio commercial, contact the booking agent at Sports Speakers 360 for more information.